The "fees for no service" scandal engulfing Australia's major banks has forced the industry's peak lobby group to overhaul a key section of its recently revamped code of practice and spearhead new legislation to outlaw grandfathered trailing commissions. After the financial services royal commission's scathing interim report slammed banks for "a culture of greed", the Australian Banking Association (ABA) will change the way institutions manage a customer's estate when they have died in a bid to ensure fees are no longer charged for services never received. And in a move that effectively dismantles a decades-old business model for the industry, the ABA will seek new legislation to abolish lucrative "grandfathered" payments and trailing commissions that have in some cases encouraged financial advisers to put their own income streams ahead of the best interests of customers. In once-unthinkable action prior to the royal commission, the ABA will seek changes to Future of Financial Advice (FOFA) reforms to remove provisions that allow grandfathered payments and trailing commissions. While some banks have unilaterally abolished such commissions, new legislation with FOFA is required to ensure the overhaul is enforced industry-wide. 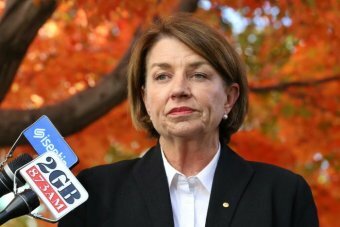 The drastic response to the reputational and financial crisis for banks comes after ABA chief executive Anna Bligh described the interim report's scathing observations as "a day of shame" for the banking sector. "It has always been unacceptable for any organisation to charge fees without providing a service," Ms Bligh said. "This announcement will put beyond a shadow of a doubt that this practice [charging fees for no service] has no place in Australia's banking industry." The former Queensland Labor premier's response to the royal commission's interim report comes after ANZ announced on Monday that the "fees for no service" scandal would carve $374 million from its full-year cash profit. The Commonwealth Bank announced on Tuesday it would refund customers who were charged fees for no service — including dead people — after coming under fire at the royal commission earlier this year. Recent data from the Australian Securities & Investments Commission (ASIC) cited by the ABA shows banks have to date refunded $1 billion to customers charged fees where no service was provided. The action by the ABA and individual banks to rebuild trust in the sector comes after AMP, the Commonwealth Bank and National Australia Bank were outed in the royal commission for potential breaches of the Corporations Act in relation to the evidence of "fees for no service". In addition to noting a "culture of greed", royal commissioner Kenneth Hayne said banks had pursued short-term profit ahead of the interests of customers while delivering a scathing criticism of the two key regulators ASIC and APRA for failing to prosecute misconduct. While Kenneth Hayne's interim report made no specific findings, observers believe his final report due on February 1 might refer potential civil or criminal matters to the Commonwealth Director of Public Prosecutions.